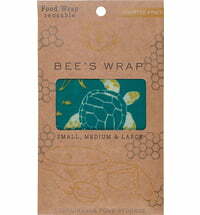 Keep your food fresh longer and safely packed with these beeswax cloths. 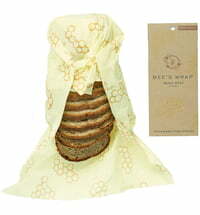 The beeswax cloths wrap around your food like a second skin, keeping fruit, veggies and sandwiches fresh. 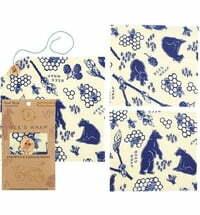 The cloths are made exclusively from cotton, beeswax, resin and jojoba oil. Additionally, the wraps allow your food to breathe, extending its fridge life. Size "S" (15 x 15cm) for bottles, ½ a lemon, or a small jug. Use the cloth to fold an envelope for snacks like raisins - easy to take on the go! 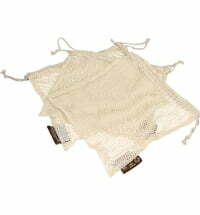 Size "M" (25 x 25cm) Use for covering plates or packing up cheese, 1/2 a mango or some honeydew melon. 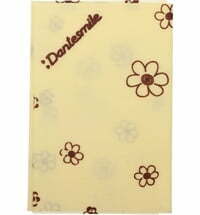 Size "L" (35 x 35cm) Ideal for covering large bowls or wrapping lettuce, bread or fresh herbs.